The newly appointed Minister of Local Government and Chieftainship, Mr. Litṡoane Litṡoane says his main focus is to serve with maximum commitment, working jointly with the officers in the ministry to deliver excellent service to the nation. Mr. Litṡoane was addressing the ministry’s employees during his introductory meeting with the staff on Wednesday. He said he is looking for collective decisions and responsibilities urging the staff of all departments to be results driven and ensure accountability. Further describing himself as results oriented, the minister demanded that the directors must give fortnight reports of progress and challenges. He reassured them that he is not a boss but a servant determined to work hard with all officers to achieve a common goal of excellent service delivery, which Basotho aspire to have. Mr. Litṡoane further noted that the Ministry of Local Government has a bad reputation especially of corruption with embezzlement of public funds, saying that he cannot tolerate such behaviour. The ministry as result, he said, has become an embarrassment to the public, hence appealing to the staff to join hands and work towards rebuilding this image. He outlined punctuality, integrity, excellent service delivery and results as his expectations in this regard as thus stressing on punctuality, integrity, excellent service and results. In his remarks, the Principal Secretary, Mr. Khothatso Tṡooana urged the staff to pull up their socks and change the current attitude especially of poor productivity, absenteeism and lateness to work. 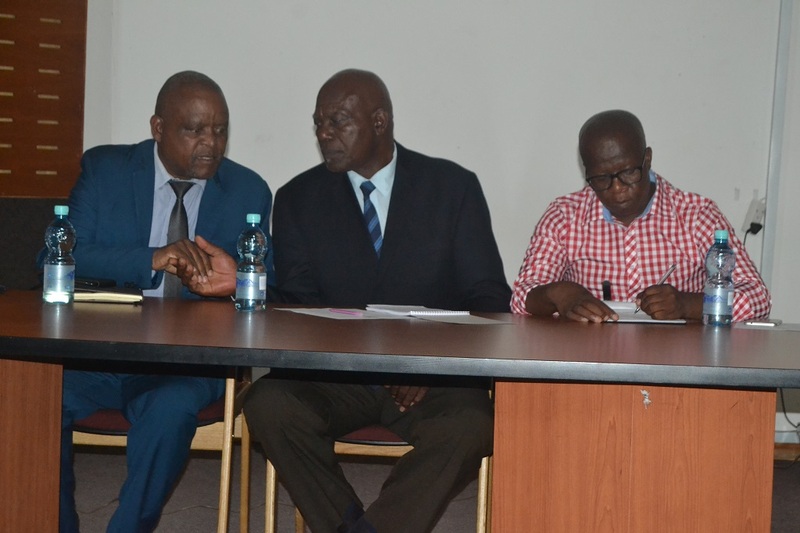 He reminded staff that the ministry is now mandated to ensure the implementation of the Lesotho’s new Public Sector Improvement Reform (PSRIP), which the Prime Minister, Dr Thomas Thabane announced in August this year. The PSRIP, which is expected to be in operation within six months aims to improve service delivery and fully address the needs and challenges that include acute poverty and unemployment facing Basotho. The programme further demands that central government with its various ministries release officers and resources to the district authorities with the District Administrator serving as the top officer in charge. Also speaking to welcome the Minister was the Director of Housing, Ms Kabelo Lethunya who also aired their expectation from the minister, “we hope to see the same momentum you demonstrated during your tenure as the Minister of Agriculture where production was massive.” She said there are challenges facing Basotho such as housing where majority of the citizens do not have habitable shelter. She also highlighted the long held dream of decentralisation of services all which have not yet been implemented.